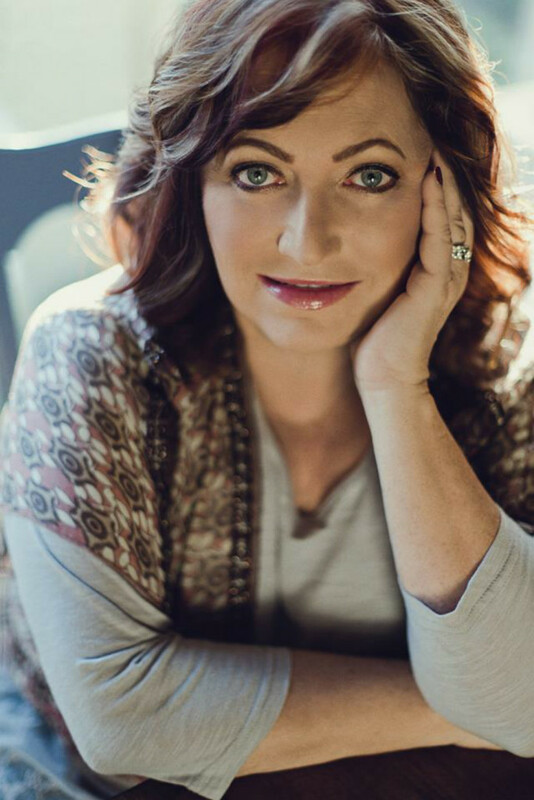 (Nashville, TN)- Orphaned and abandoned at 13….a high school drop-out by 14….left for dead after a random brutal attack in a parking lot at 17….What sounds like the narrative description for a gut wrenchingly emotional Hollywood screenplay is actually the beginning chapter of Kathy Crabb Hannah’s real life. But beyond the gripping tale of shocking tragedy, grief, set backs, abuse and heartbreak, there is also hope, redemption, faith, and miracles that only God could deliver. The story takes a beautiful turn for the better, revealing a phoenix rising from the ashes…stronger from the struggle. 9781933876255), the Crabb Family matriarch and author/speaker, Kathy Crabb Hannah writes a raw, personal, and completely unfiltered look into her life’s ‘what-could-have-beens’, followed by bigger-than-life God-moments, a sometimes shocking ride down the road to truth, but laced with perpetual hope. 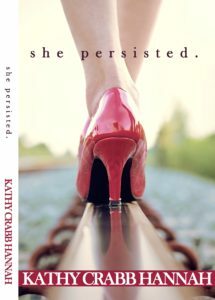 The sophomore follow-up to Kathy’s popular first book, “Stronger,” “she persisted.” is clearly the Christian answer to a #metoo world from a writer that understands that life isn’t always fair, but God is always good. The secrets of the church may rival the atrocities of the world at times, but Kathy constantly directs the reader to the truth of God’s word with certainty and without compromise; reminding us of His goodness that never ceases and His control that never wavers. 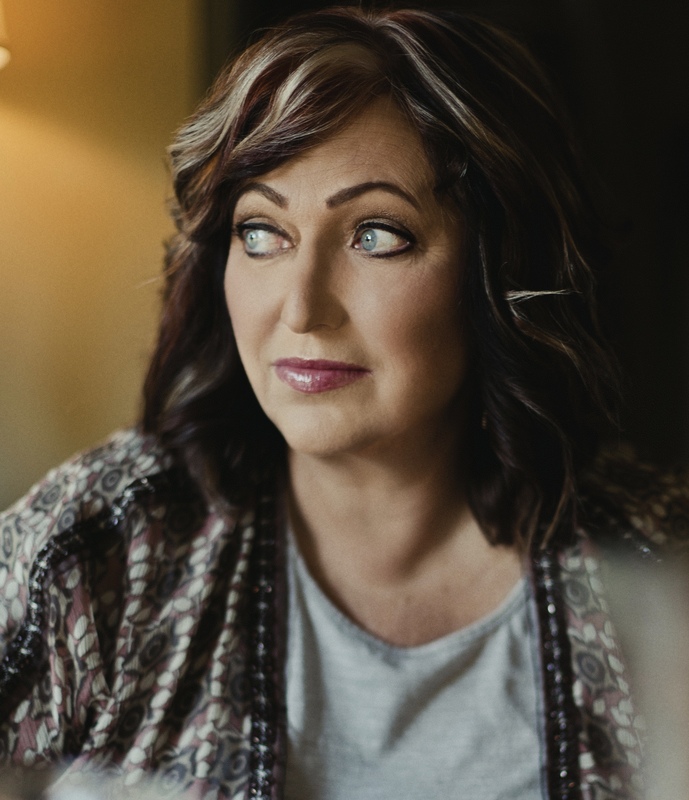 “I want this book to infuse you with hope and confidence, and I personally want to be that supportive hand to hold we all sometimes need when life feels overwhelming or unfair,” Kathy states. She persisted….and so can you, sister! 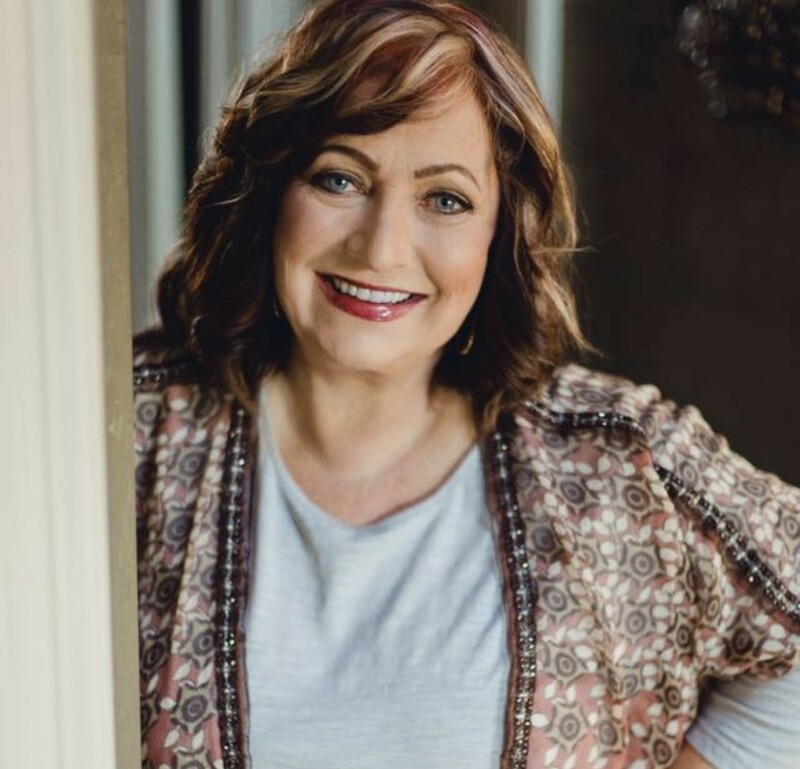 KATHY CRABB HANNAH is an author, speaker, and consultant who is best known as the matriarch and driving-force behind the beloved Southern Gospel family-band, The Crabb Family. Her social media pages are widely followed by industry leaders as she is known for her opinionated and truthful posts. 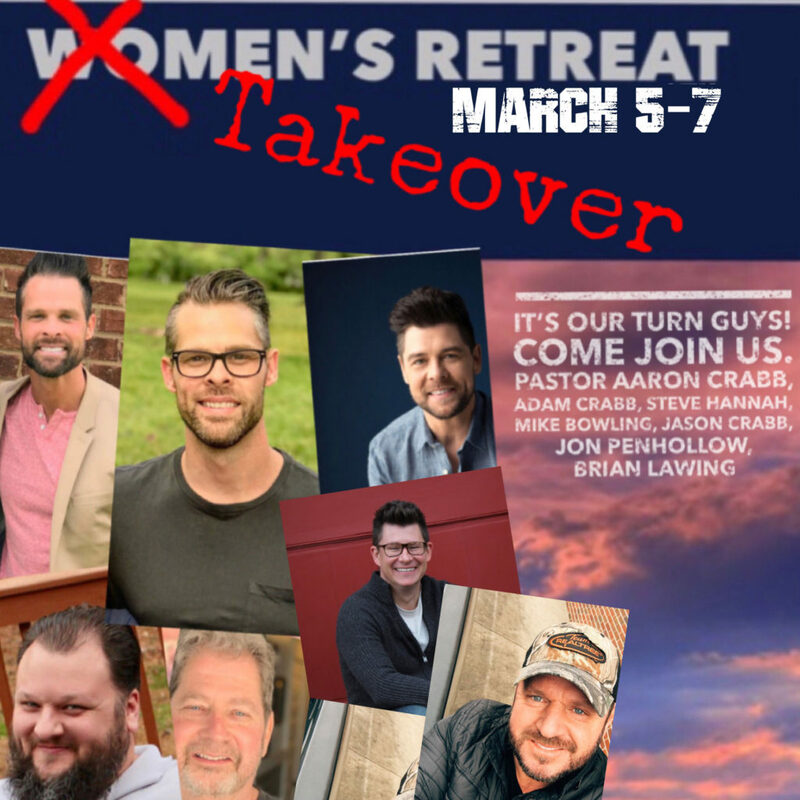 She has been interviewed by national publications, radio, and television and her speaking engagements and women’s retreats (Stronger) are wildly popular. 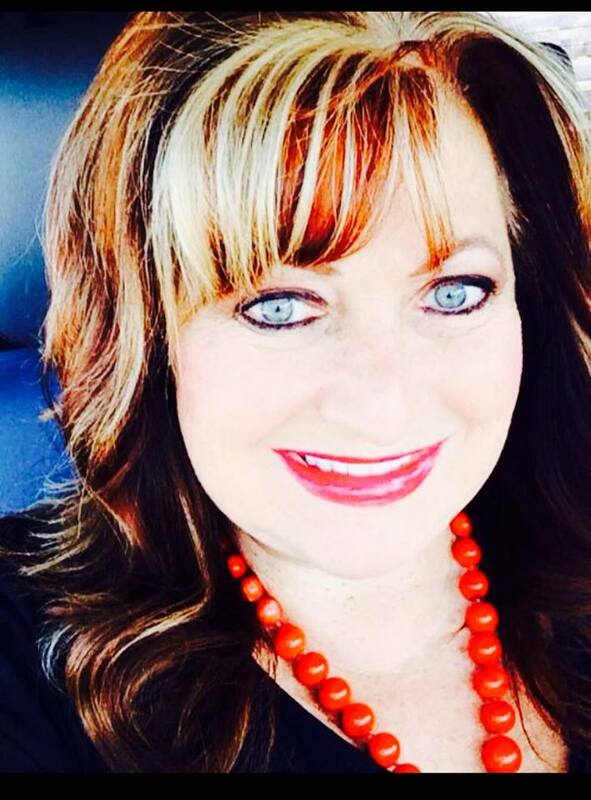 Kathy resides in Hendersonville, Tenn., with her husband Steve and near her entire family. Adam’s post says it best! 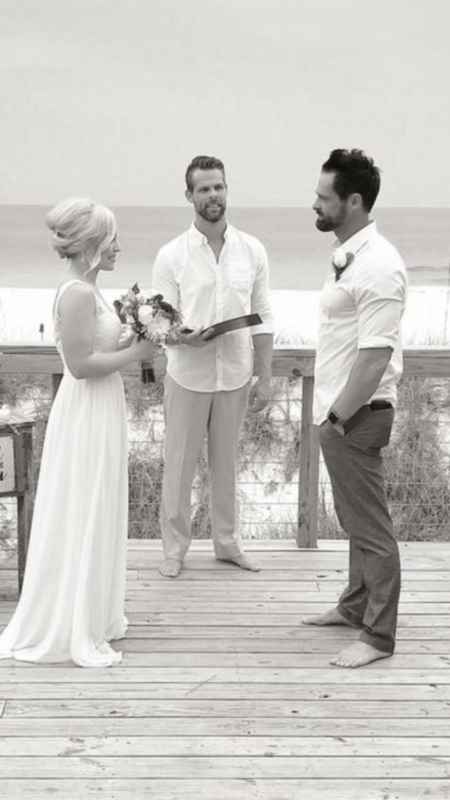 What an amazing day I married the love of my life, Kaitlyn you make my heart so happy and I’m so thankful your my wife.. Thank you for saying yes… Many great years ahead of us.. God is so good. The Family is growing! 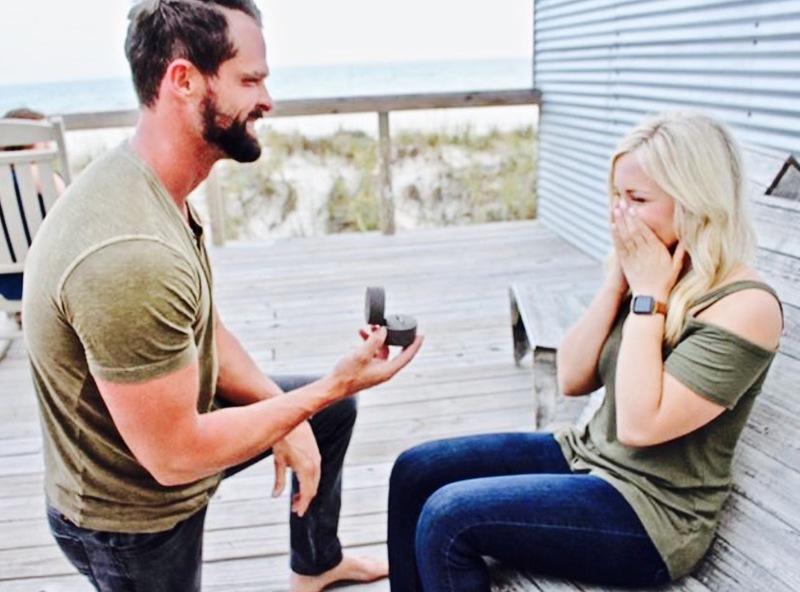 Congrats to Adam and Kaitlyn from all of us at SGN Scoops. Soon, I’m going to have a new daughter-in-law. Adam deserves happiness. She makes him happy, therefore it makes me happy. We’ve so enjoyed spending this family week with Kaitlyn Howard. Welcome to the family Kaitlyn. Well, Christmas at my house is always full of surprises, as it should be. I enjoy my grandchildren immensely, but I have ALWAYS felt it was my job to shower the adult kids. After all, if I don’t who will?? 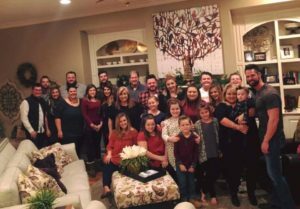 So often after young adults marry, after the grandchildren start happening, Christmas becomes about children only. I suppose that’s okay if that’s your philosophy. However, my philosophy is a bit different. My kids are still my babies. I still believe in spoiling them. I don’t care if they’re forty…..I will work to surprise, thrill, and overwhelm them on Christmas……for as long as I shall live. Now don’t get me wrong, the grandkids are off the “spoil meter” chart when they come to Granny and Poppa Steve’s house. There are SO many of them, and truthfully it’s ridiculously difficult to coordinate the gift buying, wrapping, and assembling. Steve put together scooters this year. Bless him Lord!! But we LOVE it and I live for my babies. A few traditions: The purse/wallet gifts for the adult kids. I buy six purses, the “flavor of the year” I always say. This year?? Kate Spade. I’ve been doing this for many years……….nearly twenty. We’ve been through many purses phases. So I choose one purse, put gift cards in it, place each purse in a gift bag with a number on it. They draw, one person gets the gift cards, but EVERYONE gets a new purse that they love. So five happy girls, and one ecstatic girl!! The guys get the same thing with wallets. One lucky guy gets the gift cards. I load the guy’s cards a bit heavier because wallets are less expensive than purses. The kids love this purse/wallet tradition and truly……they all WANT to win those gift cards. Ha!! I gave them all a blank poster board. I told them to depict their life until the age of sixty when they retire. I asked them to indicate significant events thus far, and then take us on the journey of their life as they dream it will be. It was amazing to see inside their dreams. Truly, I will cherish these forever. I learned so much!! I read them and I cried a million tears. Grandparents, this is a hit. Do it!! I read about bus wrecks, getting saved, dreams of being a missionary, musical aspirations, miracles, and lots of weddings and travel. This was precious!! Another NEW game was “power couples.” Holy cow, this was funny!!! I made a list of couples, they drew the couple and then had to “become” that couple. Of course….my bunch doesn’t half way do, they go all out. So……they went to my closet, and like twelve little kids playing dress-up, they did wardrobe changes from our sad stash of offerings. Ha!! Vestal and Howard, Loretta and Conway, Priscilla and Elvis, Jay-z and Queen B, and Herbert and Jeanette Cooke have all dressed in my clothes, robes, and various scarves and jewelry. Jay-Z wore a large green necklace that I wore to church on Sunday, with my leopard robe and a sock hat. Truly, with Hope’s direction, they pulled it off!!! Hope assumed the role of make-up and clothing director!! HA-HA!! Elvis froze, I mean FROZE. I’ve never seen him do that. But everyone else…..totally became their character. It was SO funny!!! And poor Elvis….a case of stage fright. But Priscilla?? She was in form. She had it going on!! Ha!! Jon was working so Terah couldn’t participate in the couples fun, so I had Terah, Cameron, and Hope do a girls trio. They drew the Trio. The list was Perry Sisters, Andrew Sisters, Diana Ross and Supremes, Sisters, The Trio. Hope was Emmylou, Terah was Linda Ronstadt, and Cameron was Dolly!!! They were pretty great!!! Video is posted. Jason and family were readying to leave for Paris, Krystal and family to North Carolina, Kelly and Mike to Kentucky, Cameron to NYC, and Steve and I are leaving for Phoenix, Billings, Montana, and then Chicago by way of Amtrak, sleeper car and all…..so needless to say, this could have easily been the Christmas that was too inconvenient to happen. Not. We don’t do that. Typically we do Christmas Day at my house at 4. So when the travel became an issue we had to adjust. Sometimes we must. I don’t want to do it every year….but there are times we must roll with it. So an early Christmas was our only choice. But celebrate we DID!!! We will find a time, a place, and the energy to celebrate. I will cook for hours making their favorite traditional meal. They start gathering, laughing, hugging, the casual observer would never know which parents were which. It’s immediately obvious that these children are a FAMILY project. These kids spend time together. The adults spend time together. The family is a close knit unit and it shows. They share more than music. They share life, kids, clothes, prayer, and an occasional thought for a sermon or song. I believe that few things in life are as important as keeping the family intact. If you know our story you know that this is the family that could have been destroyed. The truth?? We’re stronger. Yes, blood is thicker than water, but love is thicker than blood. Today, December 23rd, 2016, I am happy to report to you that this family is blessed to “be” and we know it. We fall short on MANY things, but LOVE isn’t one of them. Let them say that WE LOVED. Merry Christmas from my entire tribe!!!!! WE love you. Here is an NQC “Wow” Moment. 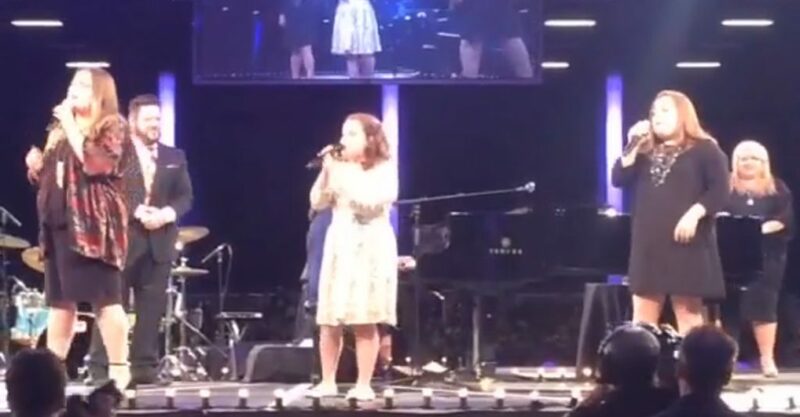 Kathy Crabb Hannah played for her granddaughters to sing. Each year on the second Sunday of May our minds recall that special woman in our lives called Mother. There is no way to describe the impact a mother has on her family whether good or otherwise, a mother’s presence is felt and missed. 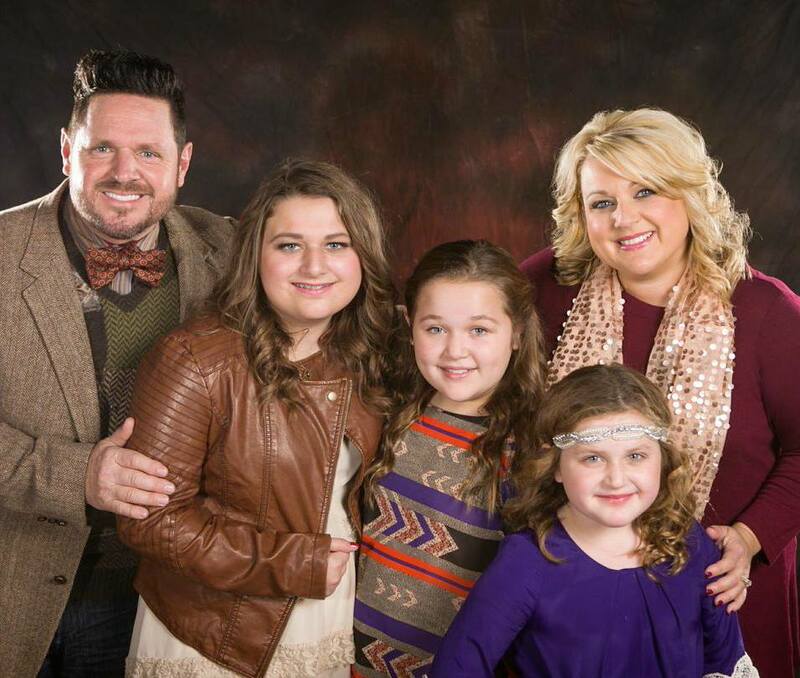 I recently spoke with one of Gospel music’s mothers, Kelly Bowling, on life with her family on and off the road. 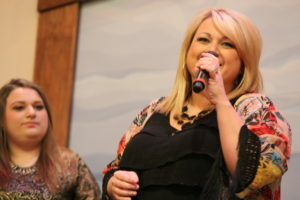 Kelly Bowling is no stranger to traveling with family, singing and ministering across this country as she traveled with The Crabb Family for many years. She grew up, met and married Mike Bowling all while traveling with her mother and family in a bus across many highways and states. 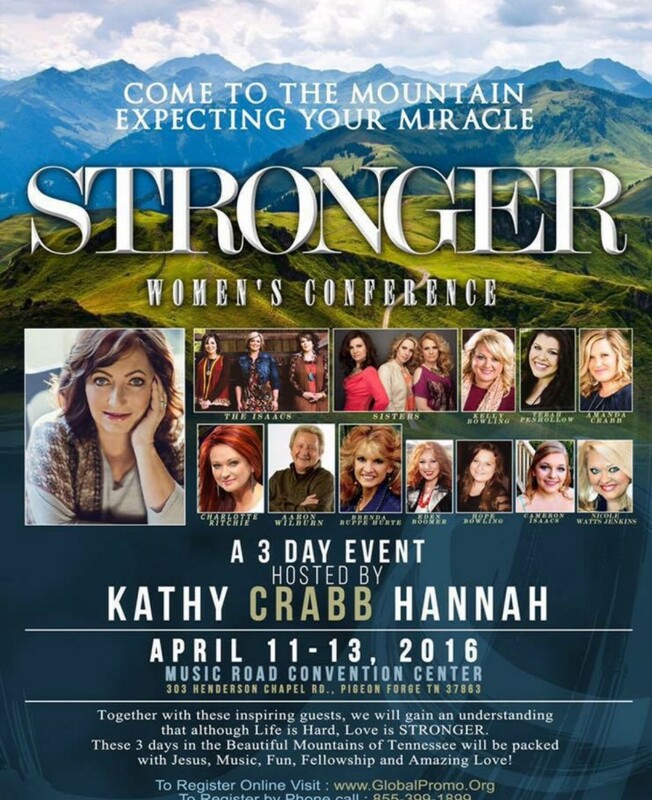 A Message from Kathy Crabb Hannah….. Happy Happy Day to YOU! Posted in announcements | Comments Off on Happy Birthday Kathy!